In the following pages we’ll take you through more about the sorts of people we work with, how we work and what makes us different. 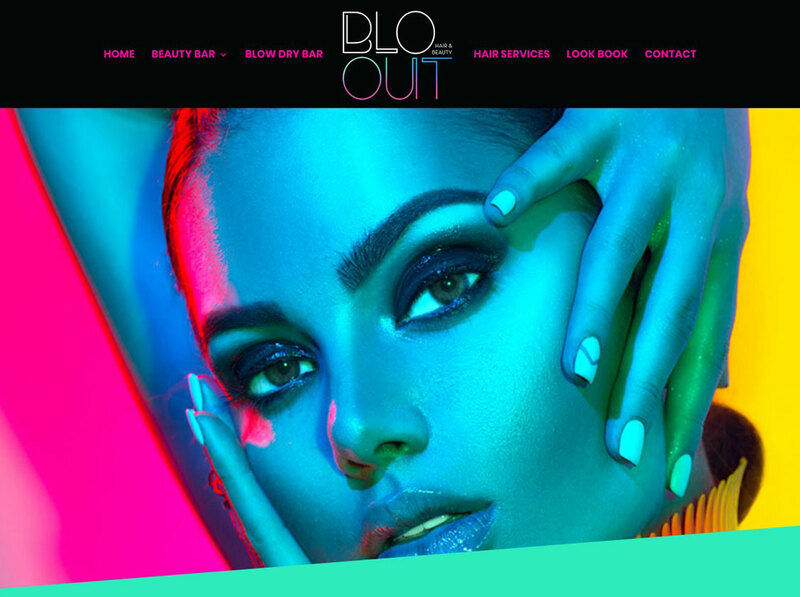 We don’t believe that web sites and design work should cost silly amounts which is why we offer some great affordable packages that not only look good but will make your business look good too – starting from £400 for a bespoke wordpress site or just £250 for a simple web presence. Oh, and we also offer a couple of FREE WEB CONCEPTS so that you can see what we can do for you before deciding to work with us. 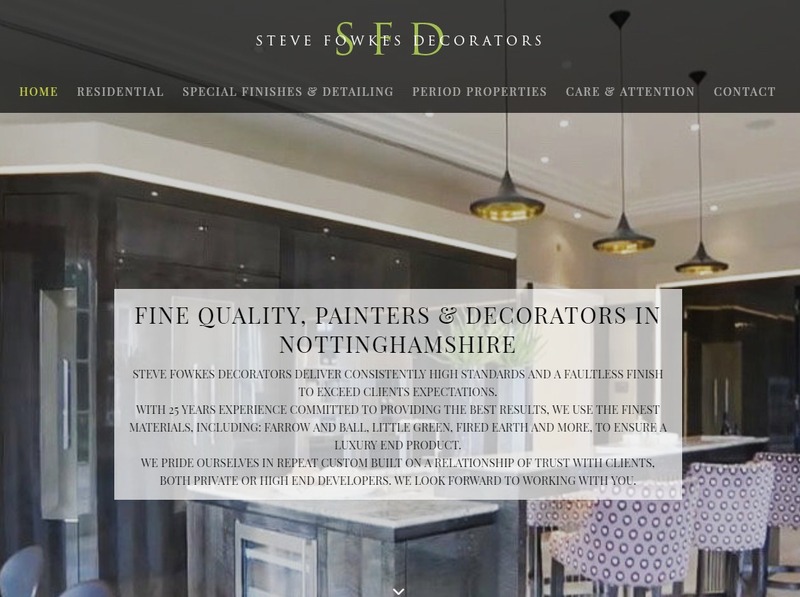 Steve Fowkes Decorating is a high end painter and decorating based in Nottingham, specialising in period properties, special finishes, and high end properties. The website is built using WordPress for ease of editing and to allow easy updating of the gallery pages. Mobile Bar and Bar Hire in London. 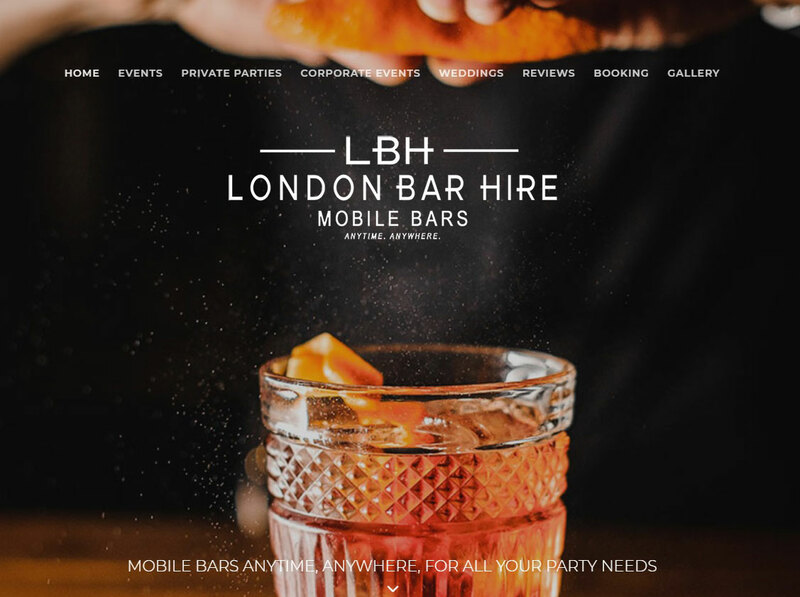 London Bar Hire needed a super-stylish easily updateable website to showcase their range of bar-hire services. A retro feel with impactful photography. Responsive web build in WordPress for this new business. I feel compelled to write a glowing testimonial for Helena at Little Black Dog design. I had a rough vision of what I wanted, I just needed someone on hand to bring it to life. Helena outweighed my expectations 10 fold! Communication was great and Helena is just a joy to work with. I wish I had found her sooner. Thank you so much for your hard work and for putting up with my pedantic ways!